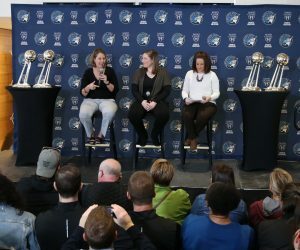 The Minnesota Lynx return home for a two-game homestand to finish the regular season beginning with a matchup against the Chicago Sky on Friday. 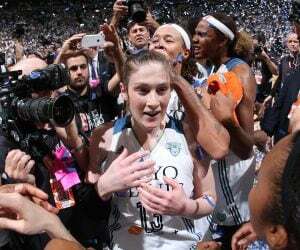 The Lynx come in at 25-7 overall this season and sit atop the WNBA standings. The Sky enter at 12-20 on the year and are in ninth place. Minnesota holds a one-game lead over the Los Angeles Sparks (24-8) for the best record in the WNBA. 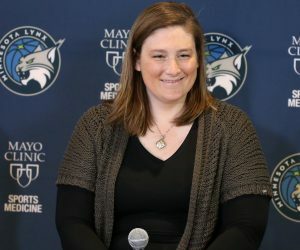 Friday’s game will be the first game of a two-game homestand to end the regular season for the Lynx. Minnesota holds a 13-2 record at home this season, while Chicago is 8-8 on the road. Minnesota is coming off of an 80-69 win over the Indiana Fever on Wednesday in Indiana. Maya Moore led the way for the Lynx, finishing with 18 points and three assists. Seimone Augustus had 14 points and three assists, Sylvia Fowles had 12 points, 13 rebounds and three blocks, Alexis Jones 11 points – which matched her career-high – along with four rebounds, Jia Perkins had 10 points and Plenette Pierson added seven points and four rebounds. Chicago is coming off of a 99-96 loss to the Dallas Wings on Wednesday in Chicago. Allie Quigley had 25 points and six assists, Jessica Breland had 22 points and eight rebounds and Stefanie Dolson had 21 points, nine assists and six rebounds to lead the Sky. Courtney Vandersloot had 15 points and 12 assists and Cappie Pondexter added eight points and four rebounds off the bench. The season series between Minnesota and Chicago are tied 1-1 so far this year. The last matchup was on July 8 in Chicago, with the Sky winning 100-76. In that game, Rebekkah Brunson had 22 points and four rebounds and Fowles had 13 points and six rebounds to lead the Lynx. 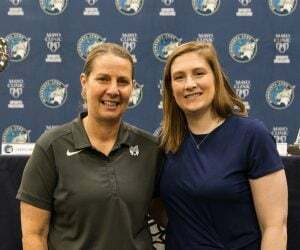 Seimone Augustus had 10 points and two assists, Renee Montgomery had nine points and four rebounds, Maya Moore had eight points and three steals and Lindsay Whalen added seven points, five assists and four rebounds. For the Sky, Courtney Vandersloot had 26 points, 13 assists and seven rebounds and Tamera Young had 18 points and five assists. Stefanie Dolson had 12 points and six assists, Allie Quigley had 11 points and four rebounds and Cheyenne Parker had nine points and six rebounds. Friday’s game is the third and final game between Minnesota and Chicago this season. One key matchup that will take place in Friday’s game will come in the paint between Minnesota’s Sylvia Fowles and Chicago’s Stefanie Dolson. In a MVP-caliber season, Fowles is averaging 19.1 points (5th in WNBA), 10.4 rebounds (2nd in WNBA), 2.1 blocks (3rd in WNBA), 1.3 steals (14th in WNBA) and 1.3 assists per game this season. Dolson is averaging 14.6 points, 5.6 rebounds, 2.5 assists and 1.4 blocks (10th in WNBA) per game in 31 games this year. Chicago: Cheyenne Parker (ankle) is questionable. Jamierra Faulkner (ACL) and Alaina Coates (ankle) are out.